Our logging program for amateur radio operators, DXtreme Station Log 14 lets you log	your contacts and make use of multimedia features that will enhance your operating experience. A clean, uncluttered, yet powerful user interface featuring customizable font attributes and foreground and background colors for viewing data easily throughout the program. The ability to run short- and long-path propagation predictions from the DX Spot Checker, Station Log window, and Entities module through Station Log 14's integration with optional Afreet Ham CAP. Complete support for Logbook of the World, including the user's choice of automatic uploads as log entries are added, and/or semiautomatic uploads of log entries in batches, complete with the capture and retention of LoTW QSO Record Status, which indicates whether log entries made it to the LoTW server okay. Plus the processing of Incoming LoTW QSLs, and display of the date and time LoTW users last updated their accounts. JT Log Entry Processing with its management of WSJT-X and JTDX native worked-before notifications and convenient Station Log-centric logging activities. Automatic Club Log record creation when adding and modifying log entries, plus a batch record-creation facility. Rig Control via optional Afreet Omni-Rig. Social Media posting of your contacts. QSL Imaging™ for scanning, capturing, exploring, and viewing incoming QSL cards and electronic QSLs. DXCC Analytics™ and WAS Analytics™, powerful tools for analyzing and enhancing your DXCC and WAS standings and quickly accessing the specific log entries upon which you need to take some kind of action. Performance Reporting. An array of DXCC, VUCC, WAS, and other reports that can be viewed locally or uploaded to the Web for remote access by you and your friends. Integration with optional Afreet Band Master for spot checking. Afreet DX Atlas azimuth plots from the DX Spot Checker plus grid and pin maps of reports. Our flagship logging program for monitors and listeners, DXtreme Monitor Log 11 lets you log stations throughout the radio spectrum and take advantage of advanced features that can make your radio and TV monitoring experience more enjoyable. The Schedule Checker™, whose colorful grid interface helps you find broadcast stations to monitor, and tells you whether you need to monitor a station for a new or verified country. The Schedule Checker imports Aoki, EiBi, and FCC AM schedules and has filters and sort options that let you display the schedule information the way you want. A "Now" setting lets you see what's on the air right now with automatic schedule refresh hourly. Integration with optional Afreet Band Master whose graphical interface helps you find amateur radio (ham) stations to monitor, and tells you  by band or all bands  whether you need to monitor a station for a verified country. An editable Modes module, which lets you log and track all kinds of modes, especially those exotic digital modes like STANAG 4285 or MIL-STD-188-141A. When your radio reports a mode of SSB, for example, you can change the mode to log the actual digital mode. We connected an SDRplay RSP1 to HDSDR and SDR Console during development. Customers report using Airspy R2, SDRplay RSP1 and RSP2, and Elad® FDM-S2. See the rig control topics in the Product Summary or Data Sheet for more information about SDR integration. A powerful user interface with customizable font attributes and foreground and background colors for data and text display, making it easy to view schedules on the Schedule Checker, log entries on the Last Log Entries grid, text in the Content Editor and Script Editor, and data on Report and Module windows. Social Media posting of your catches. Reception Report and SWL and Address Label creation for obtaining QSLs from all kinds of stations  beacons, MW, SW, utilities, and more  plus eQSL.cc eSWL Card integration for obtaining eQSLs from amateur radio operators. Improv Imaging™ for capturing on your screen, scanning from your image scanner, or pasting from the Clipboard images you want to associate with log entries, such as screen captures of stations received on digital applications and more. 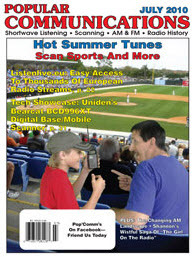 QSL Imaging™ for scanning, capturing, and viewing incoming QSL cards and electronic QSLs. Performance Reporting, an array of reports that let you gauge the performance of your monitoring station. The reports can be viewed locally or uploaded to the Web for remote access by you and your friends. Integration with optional Afreet DX Atlas for producing azimuth plots from the Schedule Checker and pin maps of report data. An auto-plot feature produces simultaneous azimuth plots for all scheduled stations. Since 1995, DXtreme Software™ has been producing powerful and easy-to-use logging applications for all kinds of radio enthusiasts. It is our mission to enhance your radio operating and monitoring experience by making it easy and fun to enter your loggings, record audio archives of the stations you've worked or heard, and maintain a digital repository of your treasured QSL cards! Thank you for visiting our site and for considering us as your logging software vendor! April's Conelrad Cinema presentation, In Our Hands (1950), is available in DXtreme Links. Do You Have Any eQSLs Waiting For You? The DXtreme™ Software Web Site is designed for a minimum 1024x768 resolution. when you have finished viewing them. Click here for eHam.net reviews. "DXtreme Releases New Station Log Software"
"Automatic Logbook of the World (LoTW) upload: Users can set Station Log 12 so it uploads each log entry to LoTW automatically when added, capturing and saving QSO Record Status from the LoTW server as part of the process. Modified log entries can be uploaded as well. "LoTW Reporting: Users can perform searches and run reports filtered by LoTW QSO Record Status or by LoTW QSL Record Status, which indicates the date of each LoTW QSL record processed by DXtreme’s LoTW QSL Update Utility. "JT65A and JT9 Contact Pre-fill: Users can re-fill the Station Log window with log information from a JT65A or JT9 contact completed on WSJT-X or JT65-HF-HB9HQX Edition. "Quick Find: Search quickly for a station in [the] log. If the call is in the log, a list of QSOs with it appears on a popup window. If desired, the list of log entries can be loaded into the Station Log window for viewing or editing, one log entry at a time. "Improv Imaging: Lets users associate adhoc images with their log entries. Users can capture, scan, or paste any image and save it as a single-page .jpg, or single- or multipage .tif." "Automatic LoTW Upload and Reporting ... JT65A/JT9 Pre-fill ... Improv Imaging"
"DXtreme Software™ has released a new version of its popular logging program for Amateur Radio operators: DXtreme Station Log 12. "Automatic LoTW Upload  Users can set Station Log 12 so it uploads each log entry to LoTW automatically when added. Modified log entries can be uploaded as well. If desired, users can disable automatic uploading and can upload log entries to LoTW semiautomatically and manually in batches whenever they want to. "LoTW Reporting  Users can perform searches and run reports filtered by LoTW QSO Record Status, which indicates whether log entries are On, or Not On, the LoTW server following upload or QSL-updating. Users can also perform searches and run reports filtered by LoTW QSL Record Status, which indicates the date of each LoTW QSL record processed by DXtreme’s LoTW QSL Update Utility. "JT65A and JT9 Contact Pre-fill  Right-clicking the New button presents a shortcut menu that lets users pre-fill the Station Log window with log information from a JT65A or JT9 contact completed on WSJT-X or JT65-HF-HB9HQX Edition. "Quick Find  A box on the Station Log toolbar lets users type a call sign and press Enter to search quickly for a station in their log. "Improv Imaging  Lets users associate adhoc images with their log entries. Improv images popular with users include signals on a spectrum analyzer or waterfall, QSOs conducted on Amateur Television and data applications, and rigs and antennas used during contacts." "Integration With Ham CAP ... 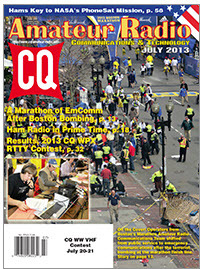 Direct Tuning ... Social Media Posting ... Last Log Entries Window ... WAS Analytics"
"New features include integration with Afreet's Ham CAP propagation prediction software; direct tuning from the Station Log window; social media posting of log entries; a resizable Last Log Entries window; and WAS Analytics for managing ARRL Worked All States awards. 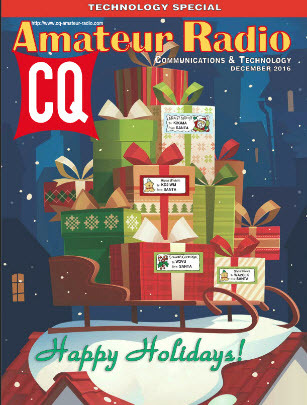 "The software can also be used to create QSL and address labels [and] create signed TQ8 files automatically for uploading to ARRL's LoTW." "You are top notch in my book." 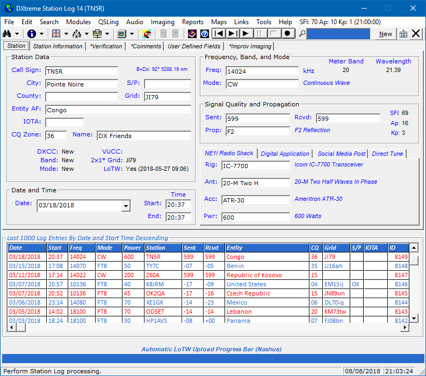 "Support for ARRL's TQSL for Uploading .tq8 Files to Logbook of The World Automatically"
"The [Last] Log Entries grid, which provides the look and feel of a paper logbook, can now be positioned at the top and the bottom of the Station Log window. A PROPERTIES dialog box lets users change the order of columns, and records can now be sorted in additional ways. Double-clicking records displays their detailed data on the Station Log window. "Support for ARRL's TQSL v1.14[+] allows for uploading .tq8 files to Logbook of The World automatically, saving users the step of performing this task manually on the LoTW website. Station Log also invokes the Ask command of TQSL to warn users when they're about to upload duplicate records to the server." "The DX Spot Checker can now display bearings to spotted stations and DXCC entities. It also provides DX and user-defined command buttons for sending commands to the server quickly. "HamQTH.com is now supported for call sign lookups. "[Also] supports TQSL for optionally uploading .TQ8 files to the LoTW server automatically." "DXtreme Software has released version 10 of its ham radio logging program ... the new version includes an enhanced DX Spot Checker, which compares DX spots to needed entities, to display bearings to the spotted stations. [And it has] an updated Last Log Entries grid." "I'm having a ball populating the modules and setting things up in time for the upcoming CW DX Contest. I'm not a contester any longer but I like to just get in and cherry-pick DX for needed new bands and modes. "By the way, some of my DX club members here in Richmond are showing an interest in my DXtreme logging. "You folks sure have a knack for designing user-friendly graphic interfaces." "This is what I had been looking for." "My objective after successfully importing over 4,500 records was to view a report of my overall performance on the HF bands. [And] there's a lot of good detail in [the] report [produced by DXtreme Station Log]. At a glance, I can see which DXCC entities I have worked, verified, and in which mode. This is what I had been looking for ... all viewable through a Web browser. "One of the most likable features of the package for me is the ability for [Station Log] to read my transceiver's current frequency. "Another thing I like is how the DX Spot Checker feature checks all spots against my logbook to determine whether I need a particular entity on that band or mode. 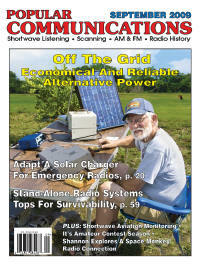 "LOTW users will love this program. It has a special import-from-LOTW function that lets you import an ADIF previously downloaded from the LOTW site and containing all of your station's LOTW matches. It will then match these QSLs with your logbook entries and automatically update your progress. [Station Log] also has a LOTW Users Module, listing all of the known LOTW users. This is an incredibly valuable tool for LOTW award chasers. "DXtreme Station Log is a capable and structured program. Prepare to get organized before jumping in and using this program, especially if you will be importing data from an existing electronic logbook. The DXer will like the correlation between the DX cluster and needed logbook entities. The award chaser will enjoy the LOTW import functionality. The QSL imaging and QSO recording functions provide a true multimedia experience." "I have it all working good now, so thanks for your help." Asian amateur radio operator Chris Reid with DXtreme Station Log and its integrated DX Spot Checker up and running on his PC. 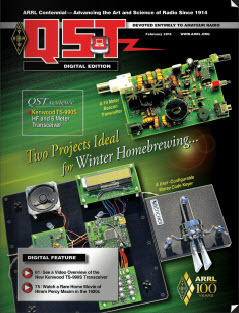 "Built By People Who Know What Hams/DX'ers Need!" "Just a note to say thank you for your support the other day when I had an initial issue. Although it turned out to be an problem with my [image] scanner interface and not your software I was impressed to say the least with the instant response I had to my query. The program works perfectly and is all I could ask for. Obviously built by people who know what Hams/DX'ers need." "Hands-down the Best Logging Software!" "I have dabbled with other logging programs over the years, just to see what is out there, and I can say without hesitation that DXtreme Station Log is user-friendly, crash-proof and completely flexible. It is a joy to use DXtreme. It's hands-down the best logging software, at any price, on the market." "Program has been installed and is running perfectly! "DXtreme Software™ ... has released a new version of its popular logging program for radio monitoring enthusiasts: DXtreme Monitor Log 11 and it is the SWL/radio monitor logbook I have been looking for all these years. "To say that this is an extremely feature rich program is probably an understatement. "Overall, the work flow for entering and tracking information into Monitor Log 11 is quite easy and accessible to even the most computer-befuddled individual. If you just need the basics, Monitor Log 11 will pass that test with flying colors. If you are the type of DX’er, though, that needs more enhancements, this program has plenty here to keep you happy and your mouse and keyboard busy." Read the remainder of the review by purchasing this excellent 624-page book today. "Latest Version ... Now Available!" "The Schedule Checker™ lets users import schedules from Aoki, EiBi, and FCC AM web sites and display schedule data according to the filter criteria they specify. A list box lets users switch between schedule types, and depending on the schedule type selected, users can filter schedule information by band, frequency, station, country, city, state, time of day, language, antenna direction, and target area. When the What’s On Now? function is activated, the schedule refreshes automatically at the top of each hour for Aoki and EiBi schedules. "Users can create customized paper and e-mail reception reports for sending to stations plus club report entries for reporting catches to clubs and magazines. When users add or display a log entry, Monitor Log 11 prepares a post announcing their DX catch and displays it on the Social Media Post tab. From there, users can drag the post to their favorite social media web sites to share their catch with others. "There are a lot more features available in the package, which can be seen on the [DXtreme Software] website." "DXtreme Launches Monitor Log 11™"
"The Schedule Checker™ lets users import schedules from Aoki, EiBi, and FCC AM web sites and display schedule data according to the filter criteria they specify. For each schedule item, Schedule Checker queries the Monitor Log 11 database to let users know – through user-defined, foreground and background display colors – whether they need to monitor a station for a brand-new or verified country. "Monitor Log 11 integrates with optional Afreet Band Master to let users see, on its graphical interface, where hams are operating. Monitor Log 11 supplies Band Master with an Entity Needed List based on the user’s Monitor Log database, making it possible for Band Master to indicate the stations whose entities (countries) users need to monitor. "Links menu provides convenient access to user-specified blogs and web sites that can inform users as to where utility and other stations may be operating. "Monitor Log 11 lets users log all kinds of stations — radio stations, television stations, broadcast stations, Amateur Radio stations, utility stations, military stations, and more! And it lets them log stations across the radio spectrum — from long wave, to medium wave, to short wave, and beyond. "Users can create customized paper and e-mail reception reports for sending to stations plus club report entries for reporting catches to clubs and magazines. "Improv Imaging™ lets users associate ad hoc images with log entries using Capture, Scan, and Clipboard functions. Captures of stations received on digital applications, waterfall displays, facsimile and Amateur TV pictures are popular. The Improv Imaging tab and Application let users view images anytime, and an Improv Image Explorer lets them peruse their entire collection and display associated log entries. QSL Imaging™ functions the same as Improv Imaging, but specializes in associating QSL cards and eQSLs with log entries. "Retrieves the frequency and mode from supported radios and permits tuning from the Schedule Checker and Direct Tune interface. Rig control is provided through integration with Afreet Omni-Rig and the SDR applications, currently HDSDR4 (High Definition Software Defined Radio) and SDR Console. "Produces Performance, Stations, and Log Entry reports that track the performance and progress of the user’s monitoring station." DXtreme Monitor Log 11 is the latest update in the DXtreme Reception Log Series. "Ham CAP Integration ... Dedicated Tab For Associating Photos and Images ... Reception Report Generator ..."
"In addition to the usual logging functions, the software integrates with Afreet Ham CAP for propagation predictions. [And] a dedicated tab on the Reception Log window allows users to associate photos or other images with log entries. "The Schedule Checker lets users import schedules from Aoki, EiBi, and FCC AM websites and filter and display the data. The software includes a customized paper and e-mail reception report generator." "Ham CAP Integration ... Improv Imaging ... User Experience Enhancements ... Schedule Checker ..."
"Afreet Ham CAP Integration — Lets users run short- and long-path propagation predictions from the Schedule Checker, Reception Log, Countries, and Transmitter Sites windows. Reception Log X sends data to Ham CAP which displays a chart showing the signal-to-noise-ratio prediction by time and frequency and a Mercator projection showing the current propagation prediction for the path between the user and the station. "Improv Imaging™ — A dedicated tab on the Reception Log window, Improv Imaging lets users associate ad hoc images with log entries. Users can capture from their screen, scan from their image scanner, or paste from the Clipboard any images they want to associate with a displayed log entry. An Improv Image Explorer lets uses peruse their collection of Improv images, and call up the log entries with which they are associated. "Colorful User Experience Enhancements — Lets users set the foreground and background colors of heading and data rows on grids throughout the program making it easier to view schedules ... log entries ... and data in Reports. "Schedule Checker™ — Lets users import schedules from Aoki, EiBi, and FCC AM web sites and display that schedule data according to the filter criteria they specify. For each schedule item, Schedule Checker queries the Reception Log X database to let users know ... whether they need to monitor a station for a brand-new or verified country. "Last Log Entries Grid — On the Reception Log window, the grid shows up to 5000 of the most recent log entries added. Its records can be sorted, and double-clicking records displays detailed data on the Reception Log window. [And] because the names of stations and NASWA countries can be quite long, users can also display a resizable Last Log Entries window. "Reception Reports — Users can create customized paper and e-mail reception reports. "Social Media Posting — Reception Log X prepares a post announcing their DX catch. From there, users can drag the post to their favorite social media web site(s) to share their catch with others." "New Features in Version 10.0"
"Afreet Ham CAP Integration lets users run short- and long path propagation predictions from [many] windows. Reception Log X sends key data to Ham CAP, which in turn displays a chart showing the signal-to-noise-ratio prediction by time and frequency and a Mercator projection showing the current propagation prediction for the path between the user and the target station. "Improv Imaging™ [is] a dedicated tab on the Reception Log window, [which] lets users associate ad hoc images with log entries. Users can capture from their screen, scan from their image scanner, or paste from the clipboard any images they want to associate with a displayed log entry, such as screen captures of stations received on digital applications, waterfall displays, amateur TV pictures, Ham CAP maps showing propagation conditions at the time of reception, etc. An Improv Image Explorer lets uses peruse their collection of Improv images, and call up the log entries with which they are associated. "Colorful User Experience Enhancements let users set the foreground and background colors of heading and data rows on grids throughout the program"
"Quality and Extremely Useful Program." "I would like to truly thank you for taking the time over the years and having the patience to make sure I get these programs working correctly. I not only get a quality and extremely useful program and as a bonus an education besides." “I just wanted to drop you a quick email and let you know how much I LOVE the software. 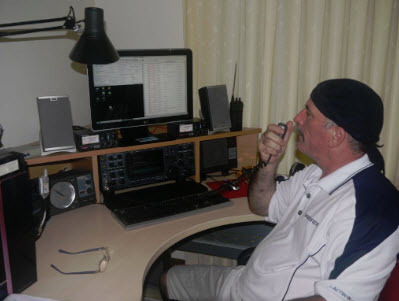 I am not a HAM, but put about as much effort and time into monitoring and Shortwave DXing as the most dedicated HAMs do with the hobby. Keeping accurate records was always such a huge hassle for me, as all of the resources were there but in different places. There was no way to streamline or integrate. Your software has taken every bit of the juggling act out of Shortwave listening and allows me to get back to what matters: the radio." "I highly recommend DXtreme Reception Log to anyone who is ready to make that leap into the 21st Century." "Anyone with any experience using Windows-based programs, especially DX-related programs such as DX Atlas, should have no problem getting adjusted to the interface. The interface for logging catches is extremely intuitive. "My absolute favorite part of DXtreme is the user-defined fields. I like to get very granular with the statistics that I track in regards to my DX. I don't want to know just how many stations I have heard from one state or on one frequency, but how many daytime versus nighttime, how many during sunrise or sunset periods, where I was when I heard it (for separating my lifetime contacts), what the transmitter power was during reception, etc. These are all fields that I was able to do with the user-defined fields’ setup. "For an example, under the user-defined fields 'tab 1' I have setup a pick-list for 'time of day.' From here, I have created options called daytime, nighttime, sunrise and sunset. Whenever I log a new station, I not only enter my time on the main logging page, but also the time of day the station was logged. This will come in very handy when we discuss reports later. "As I went through the AM broadcast band, logging new stations, I did a side-by-side comparison of entering the information into my old spiral logbook and typing it into DXtreme. I wanted to get a feel for how easy entering information was into the program. My guess was that my handwritten log would be considerably easier. I was actually pretty surprised. "For instance: one of the stations I logged was WWWC – 1240 kHz in Wilkesboro, North Carolina. Once I turned to the frequency and was waiting	to hear station ID, I started entering information such as country … day, time, time of day, reception location and my comments (yes, there is a large comments field on a separate tab. Outstanding!) By the time I heard the station slogan and call letters, all I had to do was complete my notes and add the ending time. "Entering the information was no more cumbersome than my handwritten log. On the contrary, it was easier ... and I have much more room to enter comments than my handwritten log has. "Some of the other features I found interesting and even quite usable were the reception report builder and verification tab (to track verified stations) [and] the QSL imager (Get a QSL back? Scan it and keep an image of it in your logbook!). "As I mentioned earlier, I am a report junkie. I used to sit for hours, counting manually every contact on a hand-drawn chart that showed every statistical category I wanted to track. DXtreme takes care of that for me! "There is a robust reporting package in DXtreme. In a matter of seconds, I can run exportable reports that will show me performance and data from any field that can be tracked in my log entries. I can tell you how many graveyard stations I have logged on 1230 kHz from the state of Georgia. I can tell you how many sunset DX stations I have logged on 1580 kHz during the month of October. If you have entered it into your log, the report package has a way to manipulate the data to show you just about anything you want. "From an ease of operation standpoint, from the plethora of customization options and features available, not to mention the sheer amount of reporting and data crunching you can do once your DX session is complete, I highly recommend DXtreme Reception Log to anyone who is ready to make that leap into the 21st Century." 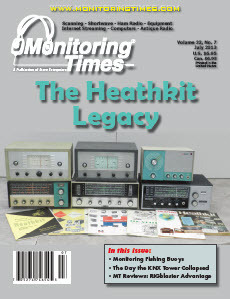 Ed: You can read the entire two-page review in the November 2012 issue of Monitoring Times. "The new functionality is superb!" "Thank you for the support. "And as for DXtreme Reception Log, the new functionality is superb! The DX Atlas integration is way better than I had expected; absolutely seamless. I particularly like the configuration options for how the maps are displayed. There isn't a better logging program (and I've tried a few)." "DXtreme Reception Log: Get With the Program ... there's a lot to like!" "Logging entries directly into [DXtreme Reception Log  Advanced Edition (DXRL)] was quite painless. If you're a Omni-Rig user, DXRL will pick up the tuned frequency automatically. The program contains example script templates to auto generate a reception report, complete with program details. The templates are fairly easy to understand, and there are samples in English, French, Spanish, and Portuguese. Different types of letters can be easily generated, such as an SWBC report or an SWL report on a ham QSO. HTML can also be generated for a more visually appealing email. "DXRL has the ability to download historical data about propagation conditions, including the solar flux, A and K indices. Click on Edit, Global Update of Solar Flux and A- and K- Indexes and the indices since January 1, 1997 are downloaded. Corresponding log entries are updated, giving you the opportunity to	check out the propagation metrics on some of your better DX catches. "[The program also] contains a very nice Schedule Checker, in case you want to see what is on now or at a given time. "I wanted to produce a sequential report showing all of my documented SWDX efforts. This was fairly straightforward. I used the “Stations by Class” report and the result [appeared in my Web browser]. To produce this report, I used the report screen to request that All Classes be shown and to sort the report by date. Then, under Fields, I selected those column headings that I wanted on the printed report. The report is generated using Internet Explorer, but the program is also configurable to use Firefox, or most any other browser. You can then print the report, if desired. "DXtreme Reception Log is a capable program and I don't think I'll be going back to my quick and dirty MySQL database anytime soon. It is easy to use, the help system is well documented, and I cannot say enough about [DXtreme Software owner] Bob Raymond's responsiveness acting on my desire to [include] an import utility [with the program]." "Thanks to your Wonderful Software, I’m Hooked on the Hobby Again!" "I’ve been an on-again-off-again SWL hobbyist for 40 years. I bought your software in late December 2010 (a Christmas present) to help me find stations with the new radio I got for my birthday earlier in the year. Now, thanks to your wonderful software, I’m hooked on the hobby once again." "Where in the past I had depended on the WRTH and other printed listings, now I can use your Schedule Checker and see what’s on the air at any time." "I’m still learning how to use the many features of DXtreme Reception Log, but it’s fun. Someday, I’m going to blow the dust off my old QSLs and scan them into [my] database so I can refer to them." "Thanks again for a great program." "My Only SWL Logging Program!" "I use DXtreme Reception Log [Advanced Edition] as my only SWL logging program. Don't let looks deceive you, this software has many, many features and, in my opinion, is the best available!" "Support is second only to the expertise with which [they] program! If you couldn't tell by my excitement, Reception Log works fine!" "Has Never Let Me Down!" "I have been a satisfied user of DXtreme Reception Log for several years now, and have used it as my primary means of logging shortwave and utility transmissions. It has always met my logging needs, and has never let me down." "Just received my Reception Log disk and installed it on the new computer. After loading my logs for the new year, all I can say is so far it works great! Thank you for the great and prompt service." "Program has been installed and is running perfectly! Great program! Congratulations!" "DXtreme Reception Log is an Outstanding Program!" "DXtreme Reception Log is an outstanding program. 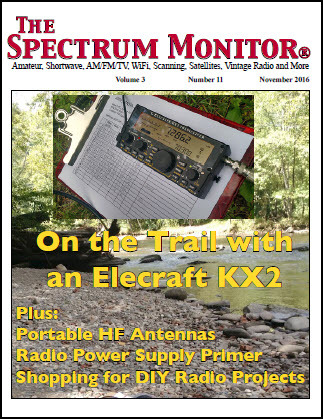 It has an awesome amount of features and covers just about every logging and reception reporting requirement of the radio hobby. "Bob (the owner of DXtreme Software) was an excellent help to me with any questions that I had about its installation and features. Great job Bob!" "DXtreme Reception Log is the Best Yet!" "Thanks a lot for a great program! I will be mentioning it to at least two groups that I hang with on the Internet. "Some people don't just do Ham, or AM-FM, or Utes  they do it all. DXtreme Reception Log is the only application that addresses all of the various radio monitors and users. Good luck with what is a great product. DXtreme Reception Log is one of a kind!" "DXtreme Reception Log Has It All!" "Couldn't wait to load DXtreme Reception Log and check out all the new features. Looks like you outdid yourself on	this one! "As I've said before, the Gold version (DXtreme SWRLgold) was just about all you could ask for in a logging program, but DXtreme Reception Log has it all! "DXtreme Reception Log is a Winner!" "I have got DXtreme Reception Log up and running and I have imported my DXtreme SWRLgold [the previous version of DXtreme Reception Log  ed] data. From everything I see it is a winner! "I have enjoyed using SWRLgold since I purchased it, and I see no reason for that to change (with DXtreme Reception Log)." "I'm Having a Blast With DXtreme Reception Log!" "The new QSL Repository Explorer is fantastic! Even a thumbnail browser! "And I love the new look of the Stations Report when run in the Window. "You have made a great program even better. The features are superb and dependable.